This new F.F.F. post is going to be styled a bit different, I personally like it and hope you ladies will too! 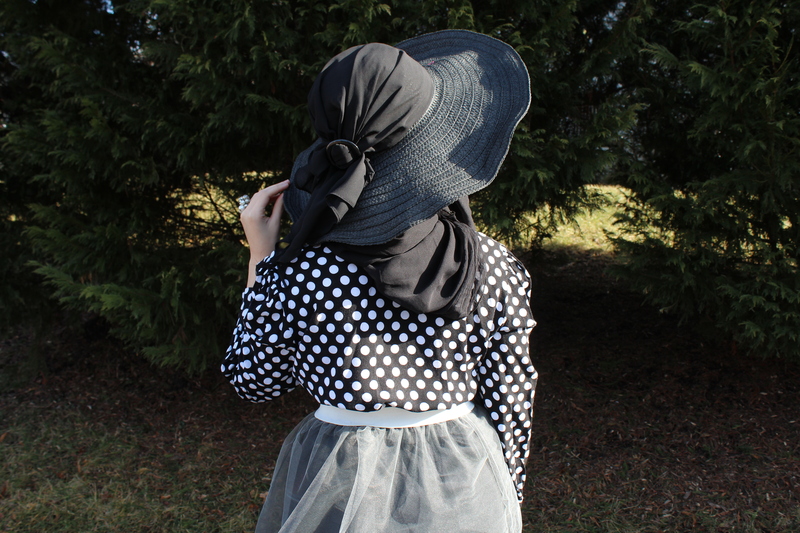 I added a bit of an Eastern touch, which is also my design inspiration. This is a very street chic look, which is always my fav combination! Lets not waste anymore time, here you are ladies! White Collar Button Down Shirt- H&M. Original price $34.99 on sale for $7. Okay, I know I have emphasized this a lot that I do NOT wear white…but with this look I couldn’t pair it with anything better. There. I said it. 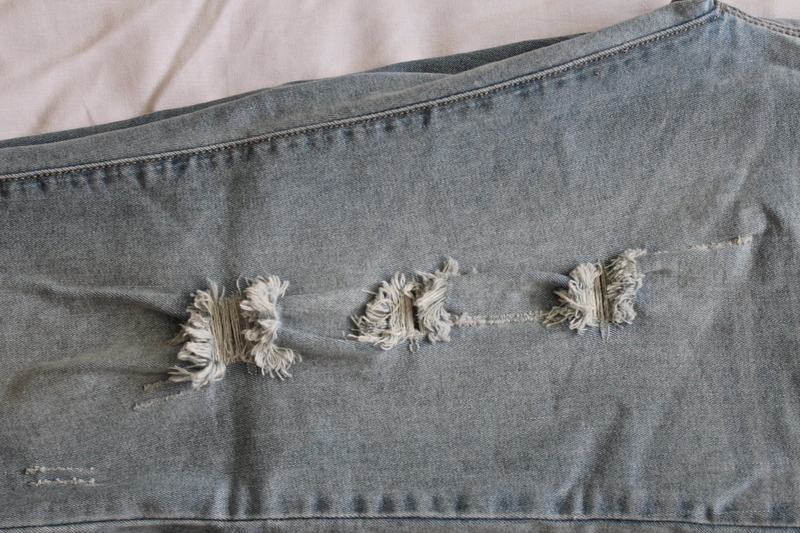 High waisted Boyfriend Jeans- Papaya. Original price $24.99 on sale for $10. I have been searching for the perfect fit, for a while now. And I finally found them! Absolutely comfortable! Out of allllll the places. Say What Flats- Call it Spring. Original price $34.99 on sale for $17. 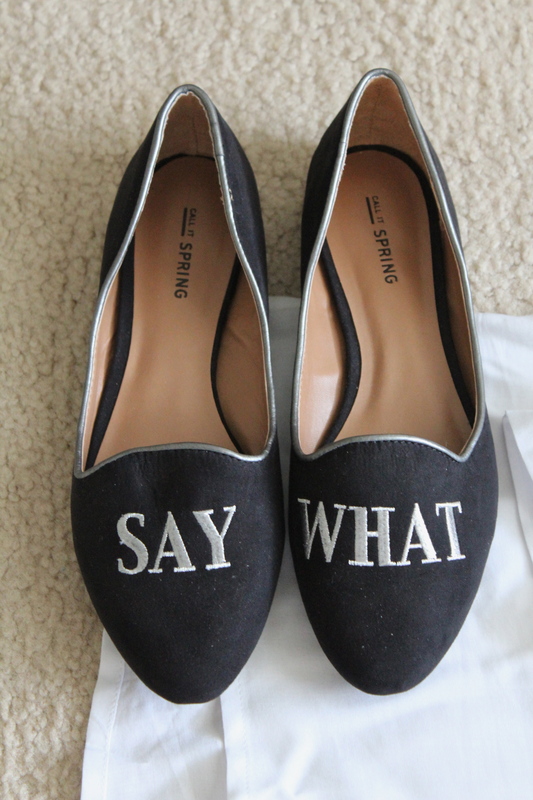 The only reason I bought these shoes was obviously because of the “Say What”. Other than that, they are not comfortable to wear (being totally honest ladies). 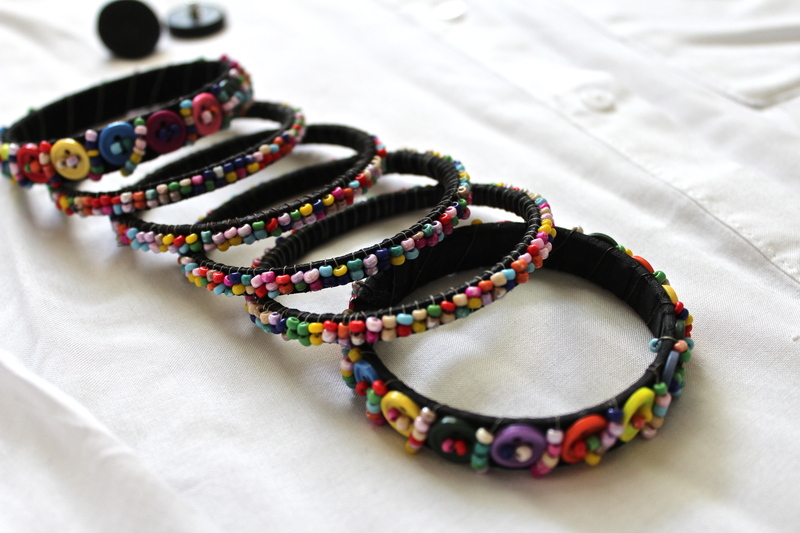 Hand-beaded bangles- Gifted from Pakistan. I absolutely LOVE these handmade bangles, this is something I stylized the outfit with to pop some color. 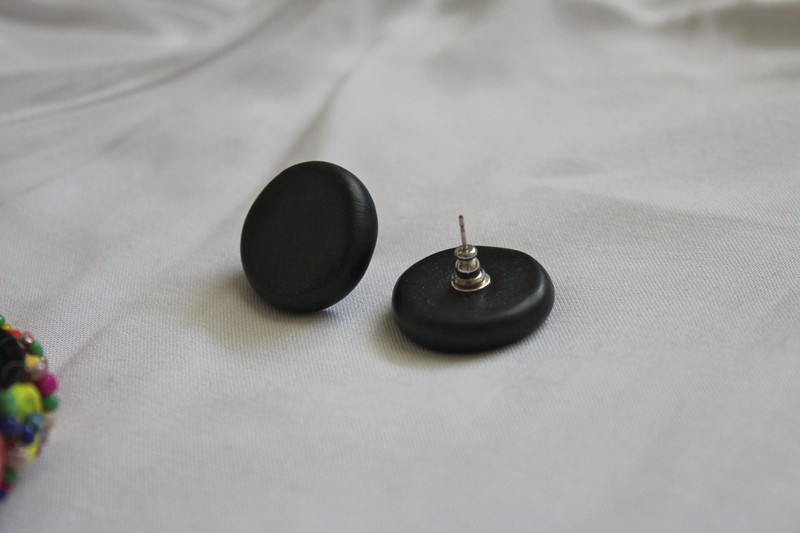 Overly exaggerated Black circle earrings- Designed and made by moi. Well, what did you ladies think? If you ladies are interested on how I made the earrings, I can teach you how to make them! Just comment below. Enjoy your weekend, until next time.